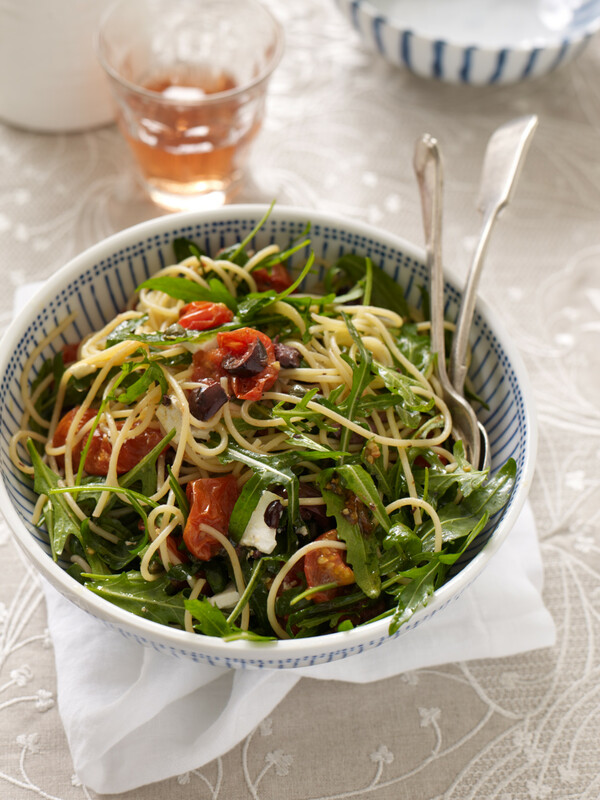 This is great for a midweek meal – tasty and healthy enough – that'll carry you through most of the year, but is perfect right now with autumn tomatoes. 2 In a small bowl mix remaining olive oil, crushed garlic, capers, olives and parsley with ¼ teaspoon salt. 3 Cook spaghetti in plenty of gently boiling, well salted water until al dente. Drain and toss the flavoured oil through the cooked spaghetti, adding plenty of black pepper, then add tomatoes and all their juices. Add rocket and feta and toss gently. Serve immediately. Quick 'n spicy pasta for dinner? Yep!